We had an abandon ship drill this morning to find our muster stations, or lifeboats. We had to arrive at our muster stations with life jackets on. They were harder to put on than they look…or at least I made it more complicated. 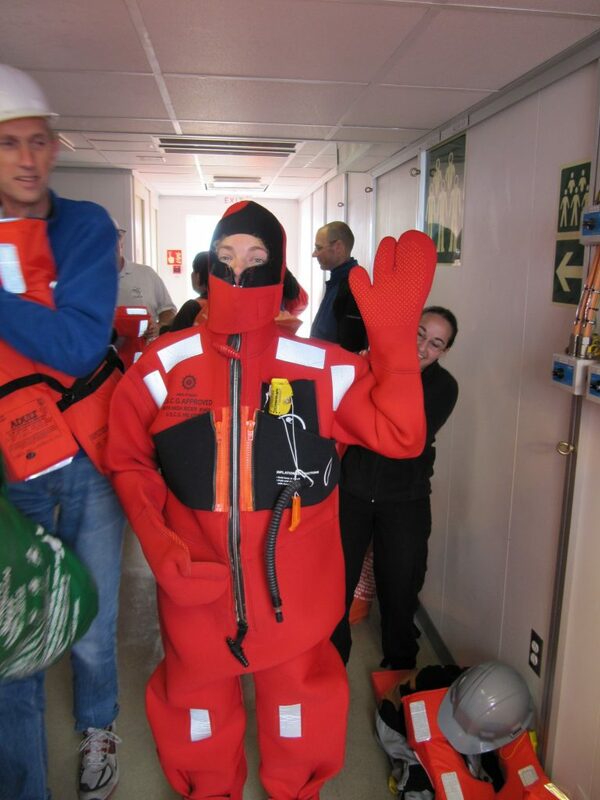 We also had to try on our survival suits just in case we have to abandon ships in these cold waters. It’s required for any expedition north of 32 degrees latitute.